It starts with one little ant, wandering here and there across the floor or on a counter. Then you notice it has a friend… and another friend… and another. When ants appear in your home or at your place of business, it’s time for serious pest control. Apart from the obvious line of ants you might see marching toward your pantry, signs of an infestation can include: wood shavings/dust, audible insect activity in the walls or floors, ant trails outside the building, and ant nests or hills. Ants are enticed by food, and colonies can quickly organize to take advantage of new food sources. Different ant species like completely different foods, making it tough to battle ants on your own. Left alone, ants can cause a lot of destruction in a short time: colonies can form large nests in openings and crevices on your property, food supplies become contaminated, buildings sustain damage needing expensive repairs, and people and pets can suffer from bites, stings, and allergic reactions. The experienced experts at Arizona Organic Pest & Termite Control are able to quickly identify any ant species and tailor a customized plan to put into place for their quick removal. Preferring to nest in wood, carpenter ants look for moist areas and chew away at wood and other structural components including electrical cables! Small piles of sawdust almost always indicate the presence of carpenter ants that systematically make their way through a home or business. Ant infestations are also frequently found to be the cause behind various individual health concerns ranging from allergic skin reactions to continuous headaches. Consider a consultation with a Arizona Organic Pest & Termite Control pest control expert to address your concerns. • Keep foods tightly sealed and clean up any crumbs or spills promptly. • Spray any visible ant trails with vinegar and water, or window cleaner, to eliminate pheromone traces that help them organize foraging. • Keep pet food dishes out only at mealtime. • Caulk and seal any visible cracks and crevices. To keep ants under control, call Arizona Organic Pest & Termite Control today for an inspection today. 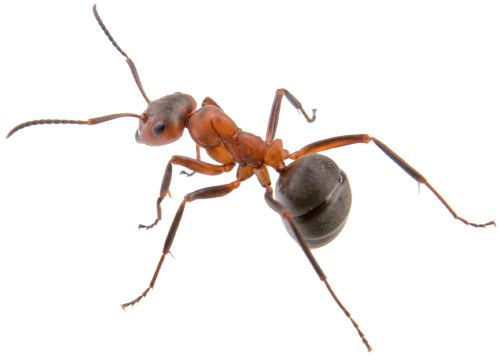 To learn more about ant pest control, contact a Arizona Organic Pest & Termite Control specialist for a free assessment.